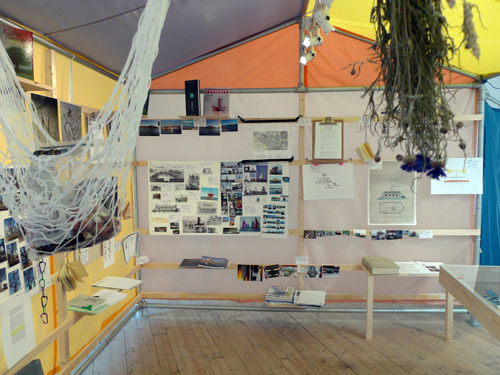 Until August 19 at Skippergate 22 in Kristiansand, Norway. 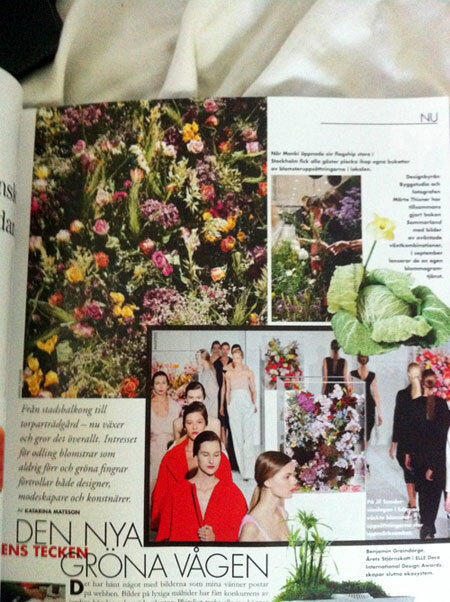 Feature in Swedish Elle Interiör on plants and growing - on Vintage Plant and other plant/flower projects by Byggstudio. 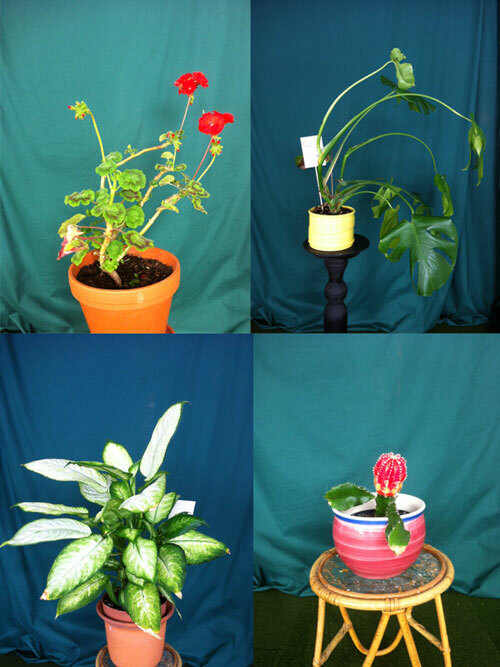 Vintage Plant Shop in August! 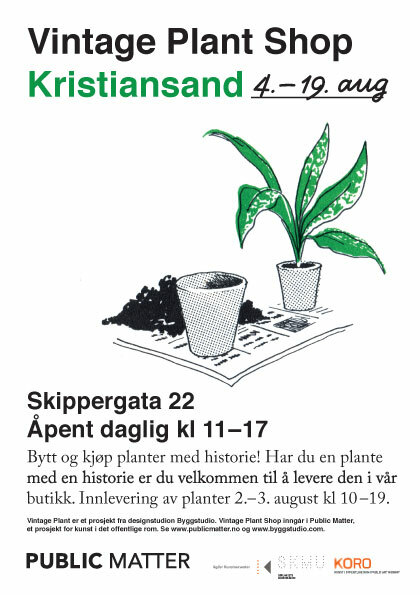 Welcome to Vintage Plant Shop in Kristiansand from August 4th-19th! 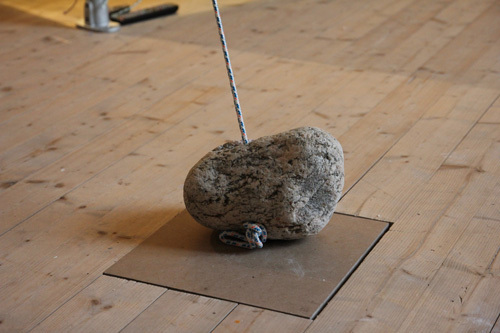 At Skippergata 22. Open daily from 11-17. 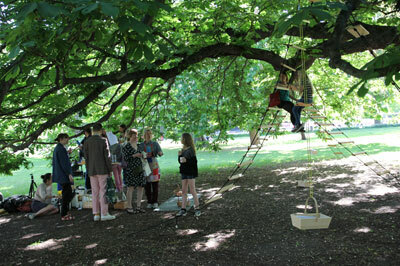 Pictures from last Saturday´s Trädkafé (Tree café) held in a chestnut tree at Djurgården in Stockholm. 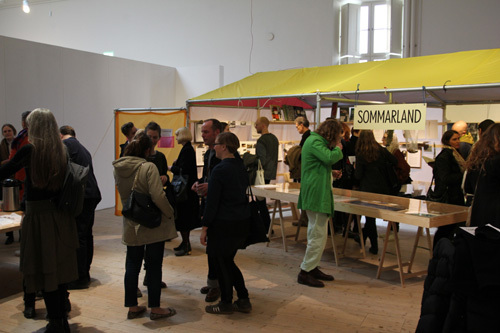 The café served as a frame for the release of Byggstudio´s publication Sommarland. 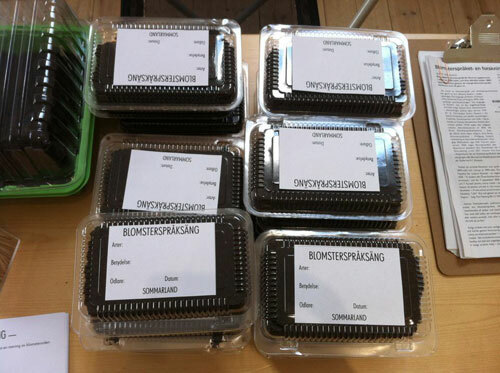 Oscar Andersson contructed the seating with Byggstudio and Josefin Vargö cooked the menu. 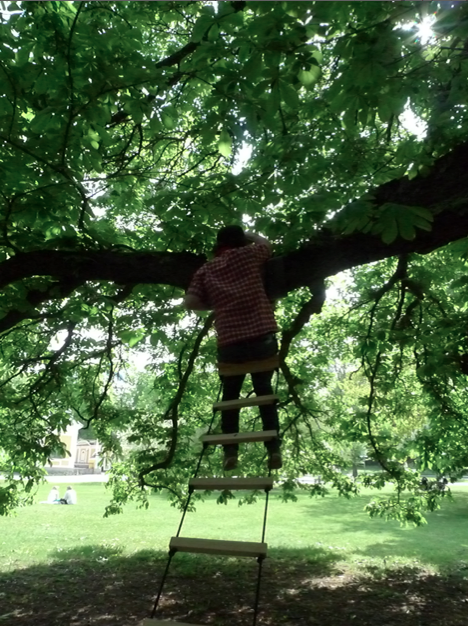 Oscar Andersson (pkup), our tree café contructor is testing a branch. 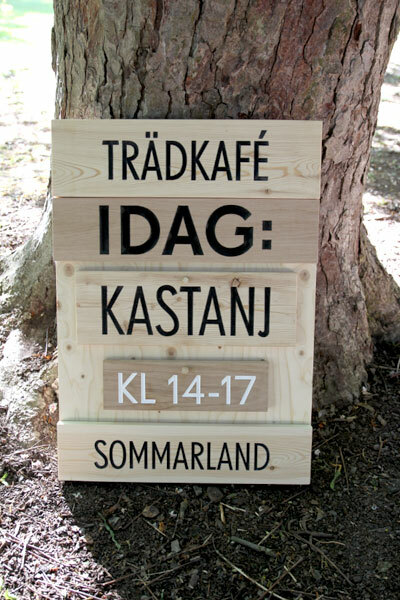 Welcome to the release of our SOMMARLAND publication at Trädkafé KASTANJ 26/5 (The Chestnut Tree Café). 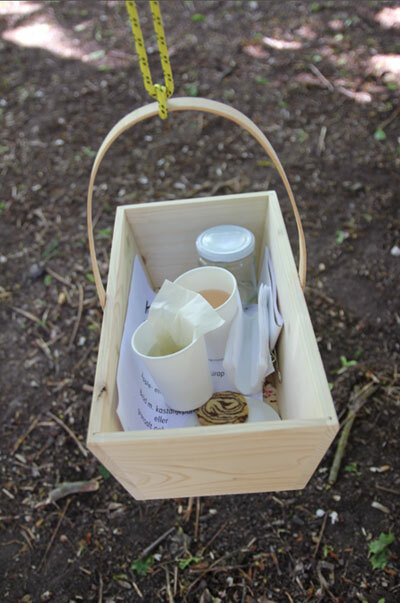 The menu is made in collaboration with Josefin Vargö. 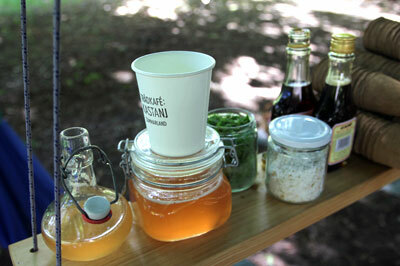 Pictures from last week´s Flower Farm café at the garden fair Nordiska Trädgårdar in Stockholm. 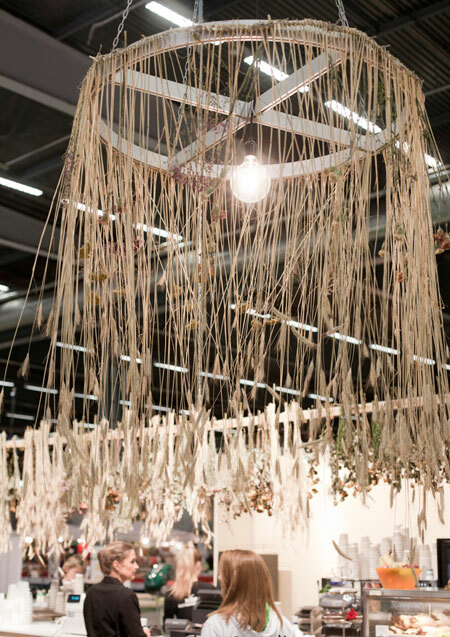 Byggstudio designed the interior with dried flower lamp shades and pressed flower wall panels and table tops. More pictures to come - by Märta Thisner. 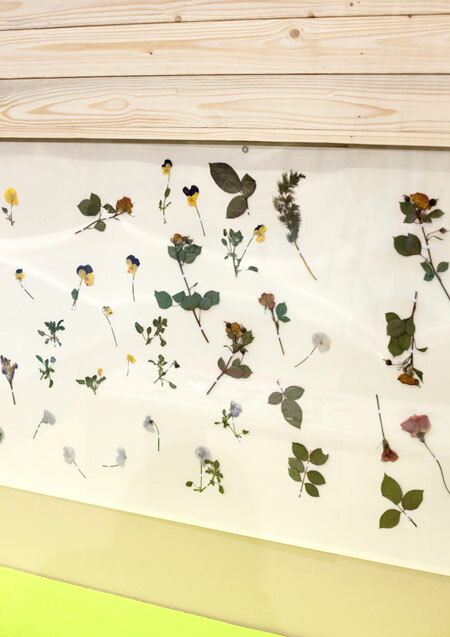 As part of our exhibition Sommarland we invite all visitors to plant their own flower language message and their own vegetable recipe at Arkitekturmuseet. 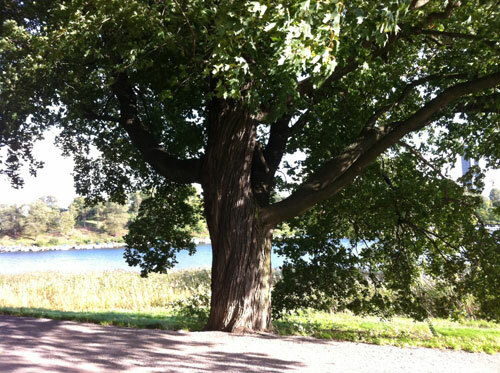 On April 28 we will re-plant them outside the museum at Skeppsholmen. 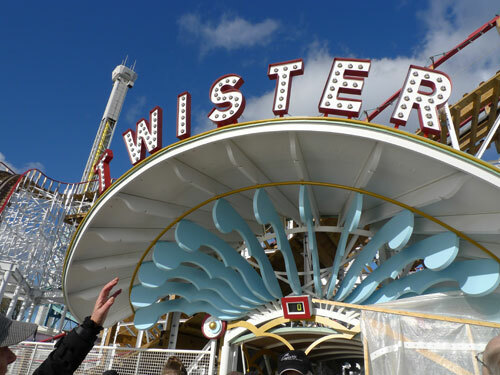 The amusement park´s architect Anna-Karin Ljungh guided us through the architectural details of the park. 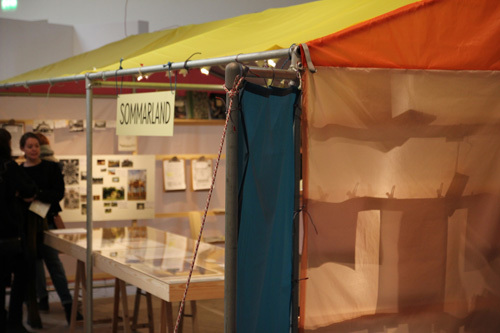 Since last week-end our park project Sommarland is exhibited at Arkitekturmuseet in Stockholm. 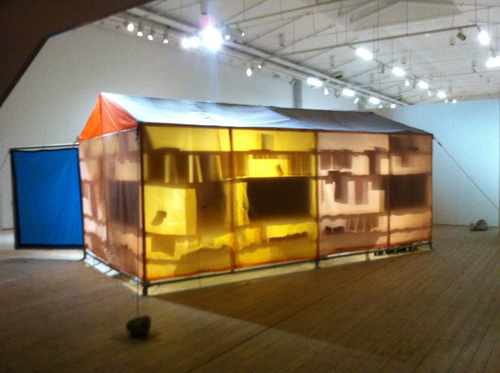 It will be on show and developed until the 13th of May. 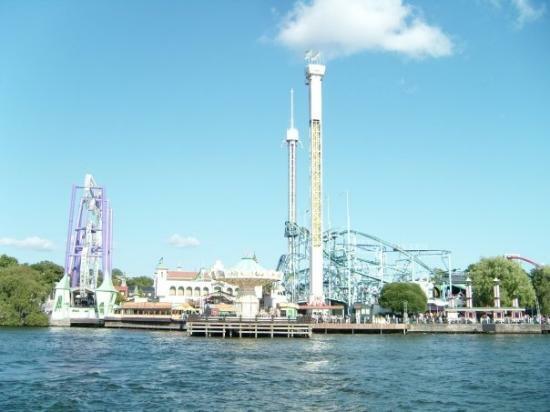 The entry ticket for Sommarland will be vaild for the whole period. 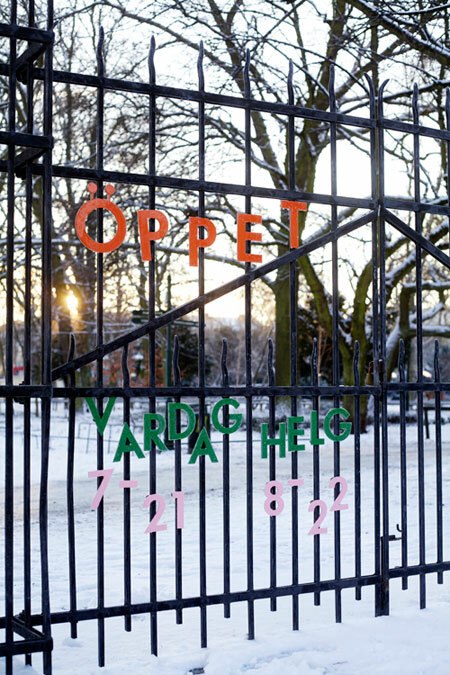 Here´s some new snowy photos of the opening hour letters that we made for Folkets Park. 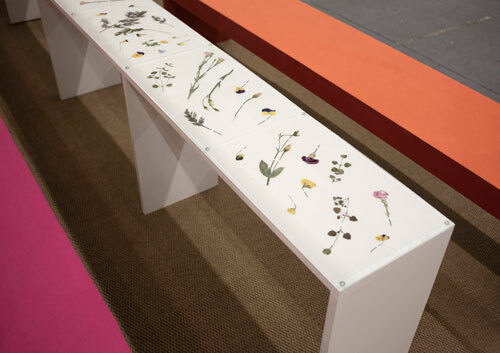 There are different colour combinations at the different entrances, they can be mixed from season to season. 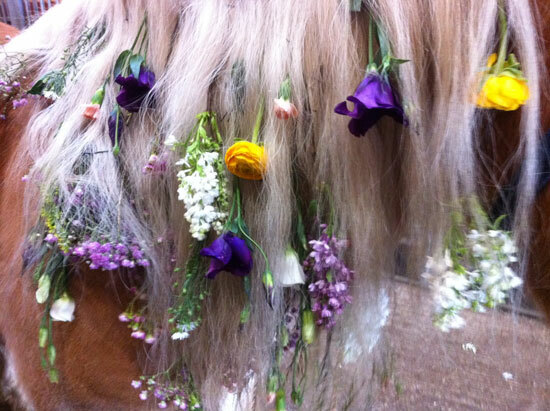 A fluffy dream named Greven. Happy new year, happy new website! 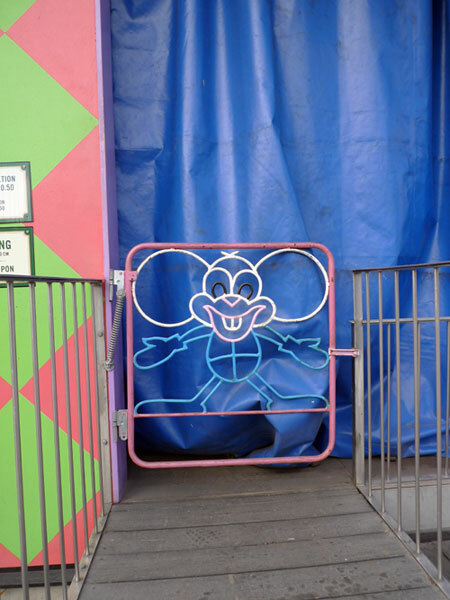 Welcome to us and hope you enjoy your stay. 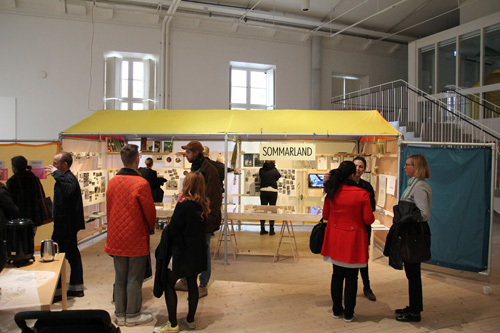 We are currently working on a theme and pleasure park concept to be shown at Arkitekturmuseet in Stockholm from the 17th March. More info soon. 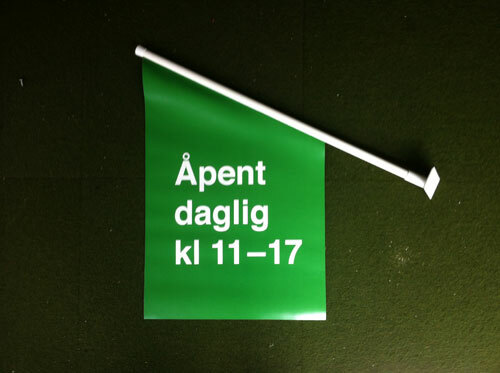 Today Mårthen in the park sent us this. 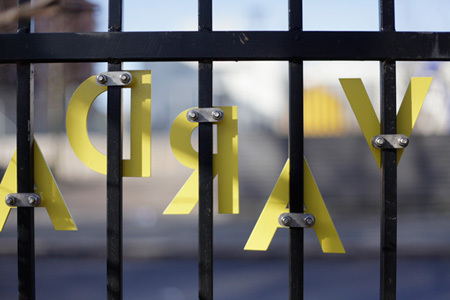 Soon all four gates in Malmö Folkets Park will have new opening hour letters. 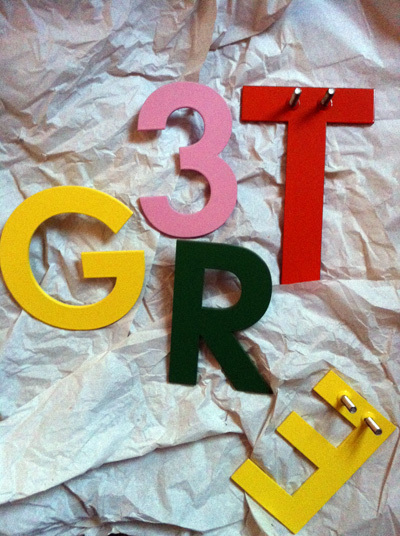 Wrapped like Christmas candy, today the letters arrived for Folkets Park in Malmö. 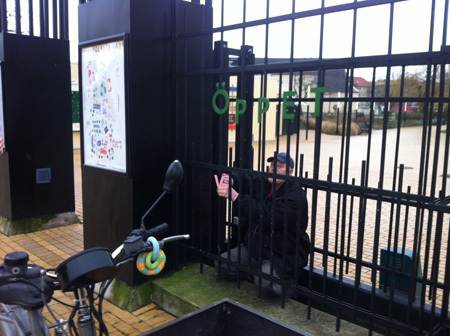 They will spell the opening hours on the fence of the park from January. 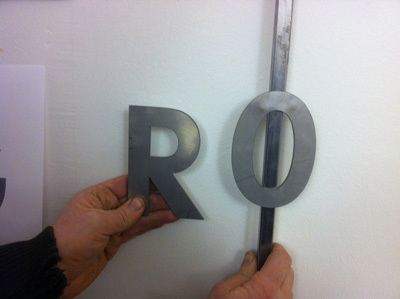 We are making flexible steel letters for Malmö Folkets Park that will function as writing on their smithery fence. 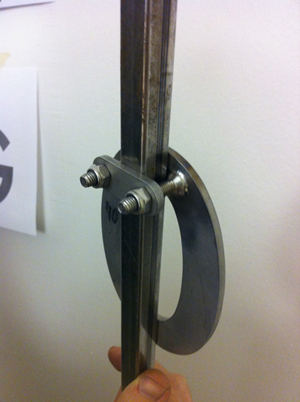 Oscar Andersson is making the pretty construction. 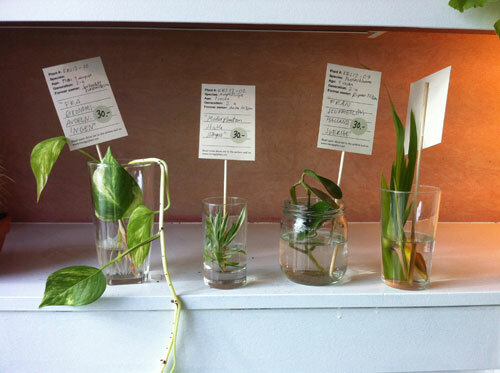 Our Vintage Plant project is featured in a new book called My Green City at Gestalten Verlag. See link below!